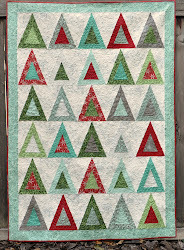 Your piecing and pattern is adorable and so is that quilting. So playful and creative! 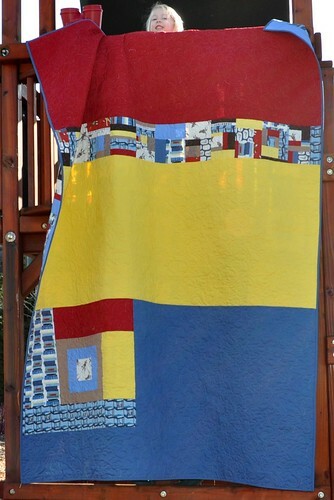 what a delightful quilt, love it! 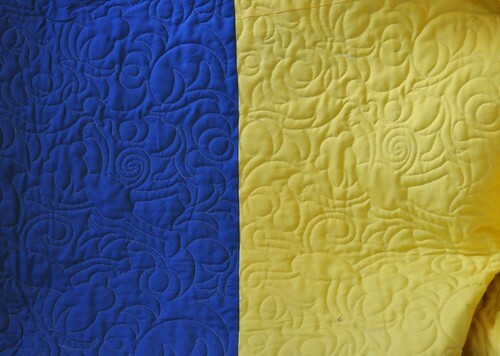 I love the way you do the backs with the additional color and quilting. Do you have a tutorial or instructions on how you do it? You have inspired me! 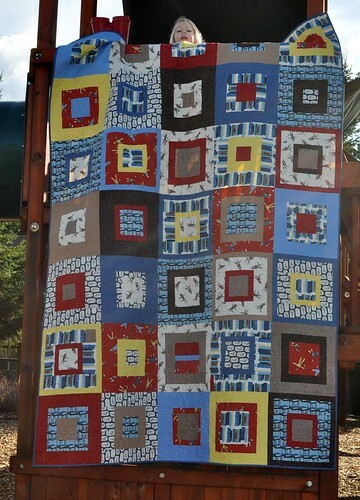 That is a huge quilt. I have been to the playground and know how tall it is. Thats my cute baby girl too. Give all the kids from their TimPa.